There's a famous rhyme in Japan that goes, "Some fools dance while some fools watch; if we're all to be fools, then let's all dance!" If you visit any one of the many summer festivals held throughout Japan, you'll probably see people enjoying traditional Japanese odori (dances). But if you see one, don't just watch - get in there and try dancing for yourself! 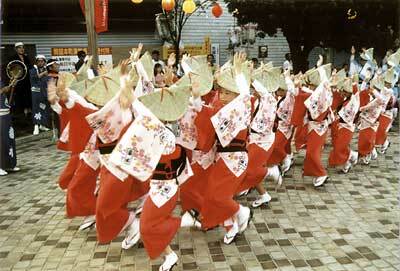 We will introduce you to some typical Japanese summer dances that travelers like you can participate in too.